​Borussia Dortmund winger Marco Reus could be set to miss the upcoming Champions League tie against Tottenham Hotspur after suffering a thigh injury during Tuesday's DFB-Pokal Cup loss to Werder Bremen . Reus netted an impressive free-kick in the dying embers of the first half, but was seen limping shortly after. He grabbed his thigh as he walked off at the break, and was quickly substituted. Dortmund certainly lacked his creativity in the second half, going on to lose the tie on penalties. A disappointing end to our DFB Pokal run. News of​ Reus' condition comes from ​Sport1, who note that the severity of the injury is yet to be determined. Reus is quoted as saying: "I cannot say yet if I can play on the weekend. We wanted to play it safe." Injury concerns are certainly not new to Reus, who has missed no fewer than 114 matches since joining ​Dortmund in the summer of 2012. Fortunately for the 29-year-old, he has no history of significant thigh troubles, which will give his side confidence that he will not be forced into an extended period on the sidelines. Dortmund were forced to field many reserve players in the match as a result of various injuries to their stars. Lukasz Piszczek, Marcel Schmelzer and Jadon Sancho were all ruled out shortly before the tie, whilst goalkeepers Roman Burki and Marwin Hitz were also unavailable, meaning manager Lucien Favre was forced to hand a debut to third-choice Eric Oelschlägel. However, it is Reus who Dortmund will be most concerned about. The club captain has been in electric form this season, racking up 17 goals and 11 assists in all competitions. 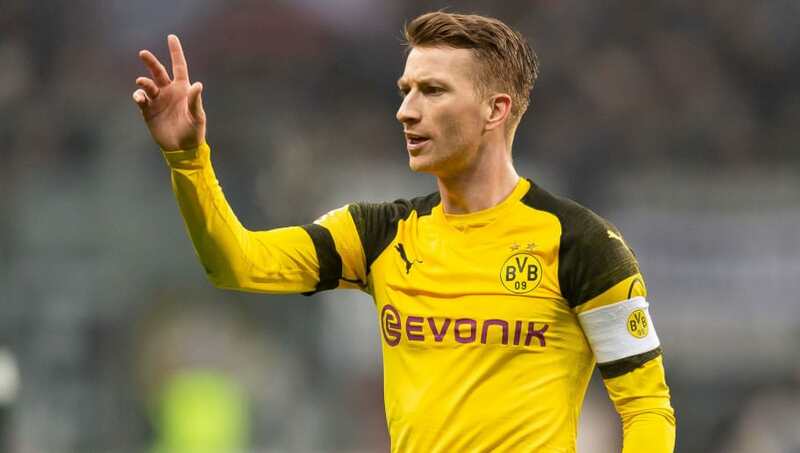 He is now a huge doubt for Dortmund's meeting with Hoffenheim on Saturday, whilst they will be desperate for him to be fit for the trip to face ​Tottenham the following Wednesday. Mauricio Pochettino's side are also dealing with a handful of injuries themselves. Both ​Harry Kane and ​Dele Alli have been missing since mid-January, but there is hope that Kane may be fit enough to feature against Dortmund.